Songwriter Marshall Crenshaw Sets Aside Recording to Focus on a Film Project | Music | Style Weekly - Richmond, VA local news, arts, and events. Performing in Richmond on Wednesday, June 21 at Capital Ale House. 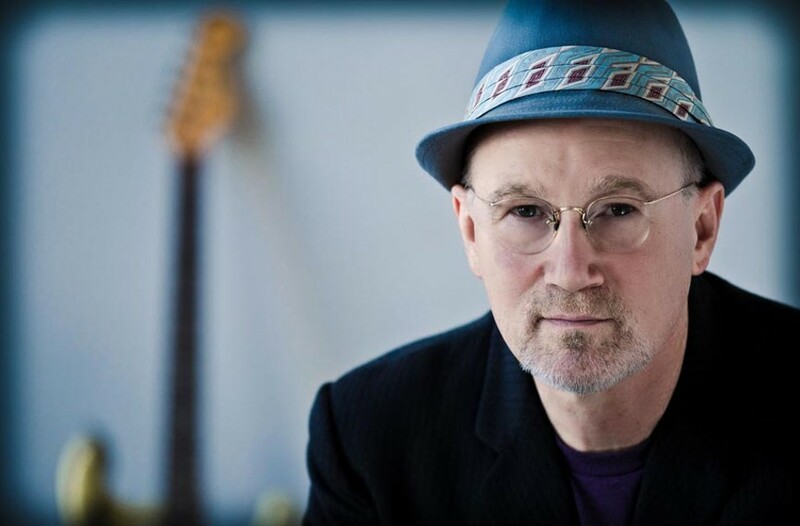 Lisa Tanner Veteran songwriter Marshall Crenshaw, known for his 1982 hit, “Someday, Someway” will be performing in Richmond backed by Los Straitjackets, a surf-rock group from Nashville that performs wearing Mexican wrestling masks. Marshall Crenshaw burst onto the national music scene in 1982 with his self-titled debut album and its irresistible single, “Someday, Someway.” Though both the album and single charted, Crenshaw’s brand of melodic, classic pop would never again experience sales figures comparable to those releases. But the quality of his subsequent work speaks for itself: On more than a dozen albums, the Detroit native has turned out a consistently appealing body of work that has earned him a relatively small, but dedicated fan base. Along the way, Crenshaw has done much of note beyond writing and recording original music. Even before he made his first album, he toured as John Lennon in the traveling stage show “Beatlemania.” An accomplished rock scholar and writer, he curated several album compilations including “Hillbilly Music … Thank God, Vol. 1,” and wrote a book, “Hollywood Rock: a Guide to Rock ‘n’ Roll in the Movies.” If fans think his musical styles are confined to chiming, hooky power pop, in 2004 Crenshaw toured as second guitarist in a reformed lineup of Detroit hard rockers MC5. In recent years, Crenshaw has alternated between touring as a solo singer and guitarist and playing dates backed by Midwestern roots rockers the Bottle Rockets. For his current tour, he’s joining with surf-rock instrumental combo Los Straitjackets. In between concert dates, Crenshaw continues work on a pet project, producing a documentary film about record producer Tom Wilson. “I’ve known [Los Straitjackets lead guitarist] Eddie Angel forever,” he says, “and I know what his taste is. So, I thought to myself, ‘This would be a really cool opportunity to do a bunch of old rock ‘n’ roll songs.’” Crenshaw characterizes the set list for the tour as an imaginative mix of left-field songs. “Eddie’s definition of a good show is one where something changes every 10 minutes,” he says. “So, there will be a lot of dynamics.” Crenshaw will play some songs alone, he’ll be backed by the Mexican wrestling-masked Los Straitjackets on others and the band will play an assortment of songs from its deep catalog as well. In recent years, Crenshaw has released a steady stream of recordings. Between 2012 and 2015, there have been no less than six EPs of new music from the guitarist. But for now, making albums is “on the back burner,” he says. “I’m not writing any songs right now.” Instead he’s focusing his energies on the live dates and the Tom Wilson documentary. Crenshaw recalls how he became involved in the Wilson project, noting that he “got pulled down a rabbit hole” by a website put together by his friend, musicologist Irwin Chusid. Crenshaw was familiar with the record producer’s work. Wilson had produced Paul Simon and Art Garfunkel’s “The Sounds of Silence,” as well as two albums each by Frank Zappa’s Mothers of Invention and the Velvet Underground. A great deal of effort is going into the documentary, which is being funded in part by a Kickstarter campaign. “Irwin’s research was the catalyst for the whole thing,” Crenshaw says, noting that he already has conducted more than 60 hours of interviews. That helps explain why he hasn’t been making records lately. Still, fans of Crenshaw’s work will have some new record-buying opportunities in the coming months. His second album, 1983’s “Field Day,” is scheduled for a deluxe reissue in the fall, and a recently-discovered recording of an early live show will be released as well. That 1982 San Francisco performance was Crenshaw’s first gig west of the Mississippi. “[It was] a show that we did just as my first album was being released,” he says. Capital Ale House presents Marshall Crenshaw and Los Straitjackets, with Sarah Borges, on Wednesday, June 21, at 8 p.m. Tickets ($25 advance, $30 door) are available online and through the Capital Ale House website.